DSD is a term describing delirium superimposed on dementia. This condition most commonly occurs when a person with dementia experiences a hospitalization or a significant change in medical condition like a diagnosis of pneumonia or a urinary tract infection. 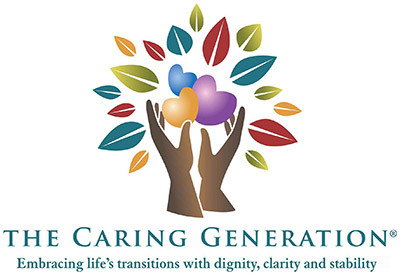 Professionals working in the care industry and family members of loved ones with dementia notice signs of increased confusion, agitation, aggression, irritability, and physical decline. In these situations, this perceived overnight change occurs suddenly and rapidly. One day the person was doing well and the next day the change is so significant that there is concern the person will be unable to function at the prior level, will require a significant increase in daily care, or may not recover at all. Hospitalizations are another factor inducing delirium upon dementia. “An estimated 22-89% of older adults in the hospital and in the community, develop DSD. The effects of DSD include worsening cognitive and physical declines, longer hospital stays, higher rates of rehospitalization, the need for institutionalization, and death.”(2) Studies of specific interventions focusing on one-to-one daily interaction to improve executive function resulted in shorter stays in rehabilitation centers by up to sixteen days and improved cognition versus that witnessed at the onset of the DSD. The one-to-one daily interactions listed below, can be performed by family and care professionals. Experience with the person diagnosed with dementia and experience of aspects related to memory loss and functioning are necessary to develop and identify one-to-one daily activities that will be successful in reducing DSD. In a study at eight skilled nursing communities in Pennsylvania, the activities were completed in daily sessions of up to 30 minutes per day for 5 days a week for one to two months until the individual was discharged from the rehabilitation community.1 The activities, once identified, may be implemented by family members for loved ones. 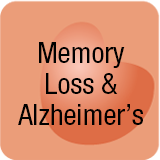 The activities are tailored to the level of memory loss of the individual and focus on sequenced thought patterns and recognition to improve the executive function ability of the brain. Activities are developed to coincide with the interests and hobbies of the individual to increase the likelihood of success. Not all activities are appropriate for all individuals due to varying levels of cognitive impairment, physical ability, visual ability, or hearing deficits. Persons with an interest in movies identifying famous faces, with an interest in sports identifying sports figures, etc. Persons with an interest in cooking might describe the ingredients and the process to follow through with a recipe. Persons who enjoyed music listening to a favorite song while reading the written song lyrics. Persons who enjoyed physical activity may take walks and read street signs. Persons enjoying crafts or puzzles would complete activities specific to individual preferences. These one-to-one activities support executive function which is the ability to pay attention, focus on an activity and to complete activities based on experience. The challenge for professionals in implementing this type of activity program may be a lack of knowledge about the individual’s preferences and hobbies if no family members or friends are available to provide this information. In many situations, individuals are still able to self-report their likes and preferences of hobbies and routine activities. This is an area where family members and friends can provide valuable support. By providing historical information about an individual, the family member and the professional may work together to identify activities that would be both interesting and beneficial. A trial and error process may occur to determine the activity that may prove the most successful. The important component is daily and ongoing repetition and dedication to the process of completing the activity much like one would study or prepare for an exam. While the activity may be repetitive to the individual initiating the activity, it is unlikely that the individual with the DSD will recall details of the activity and if so, the information in the activity may be modified. The benefits to the individual of daily and ongoing cognitive activities focusing on the area of executive brain function are significant. These activities support improved cognitive functioning. When cognitive activities are combined with physical activity the benefits increase. Further episodes of delirium may be prevented. The individual is also more likely to remain at the current level of functioning and remain in the present home or community environment for a longer period of time versus moving to or requiring a higher level of care. 1 Rudolph, J.L. et al. Delirium is Associated with early Postoperative Cognitive Dysfunction. Anasthesia, 2008, 941-947. DOI 10.1111/j.1365-2044.05523x.